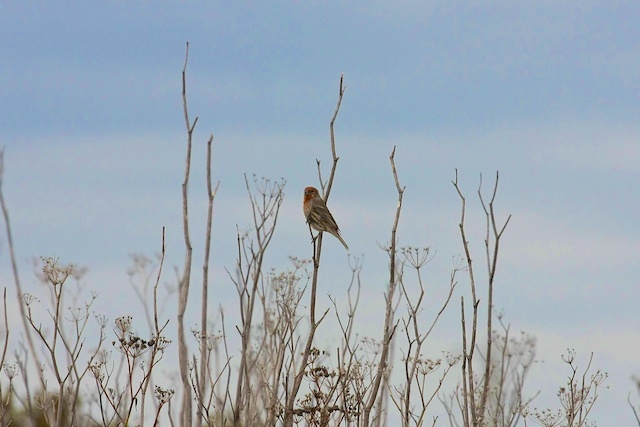 Described by bird watchers as the go-to place for the "best birding on the bay," the Palo Alto Baylands Nature Preserve is a feather-filled oasis during winter. 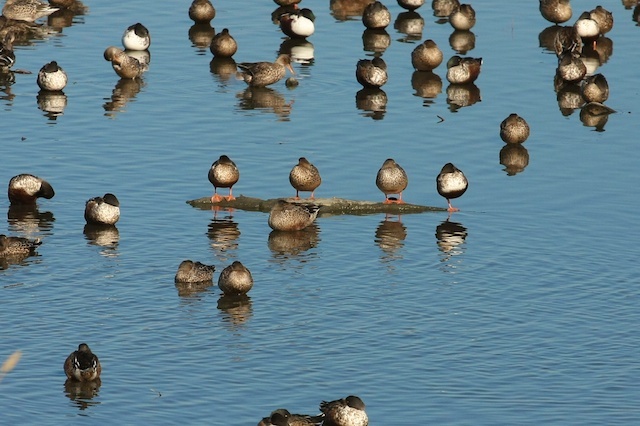 This is the time that waterfowl migrate through the Pacific Flyway and settle along the California coast for the season. The majority of these birds make their temporary home from the Sacramento Valley to the Salton Sea. 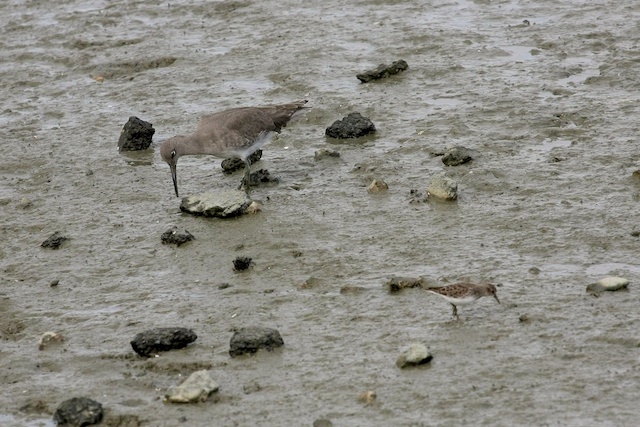 In the San Francisco Bay Area, up to 150 species of birds can be found at the Baylands Nature Preserve, which include the endangered clapper rail (Rallus longirostris obsoletus). Within the preserve, the Lucy Evans Baylands Nature Interpretive Center is a homey building that provides visitors with nostalgic small-scale exhibits and information about the space and species to be seen. There's even an aquarium that holds some native wetland fishes that hikers would not be able to see otherwise. Waterfowl aren't the only animals that call this place home. 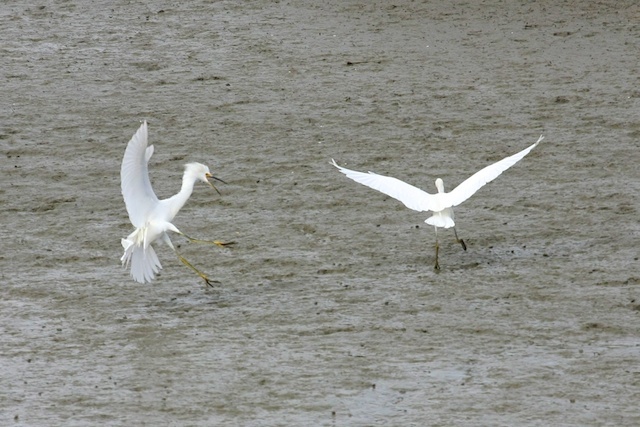 As the numbers of migrating ducks and shorebirds rise in the Baylands Nature Preserve, the number of predators also increases. Traces of wild omnivores and carnivores on the trails indicate they have been eating well, and even aerial predators such as red-tailed hawks (Buteo jamaicensis) and Northern harriers (Circus cyaneus) can be seen soaring throughout the day. Although this habitat is already supporting a large number of species, it is a work in progress. The City of Palo Alto and Save the Bay are working to restore the wetland by cleaning up the shoreline, removing non-native invasive plants and planting native seedlings. In a few years time, large patches of monkey flower, buckwheat and other hummingbird and butterfly favorites will be well-established along the shoreline. 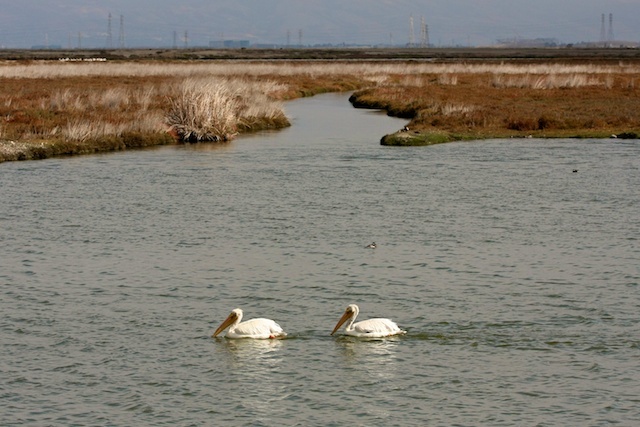 The Baylands Nature Preserve trails are great for all ages, bicyclists and dogs on-leesh. Birds can be heard calling before the sun rises and after it sets. This is a great place to enjoy birds in their highest numbers and with its restoration in progress, it will only get better.